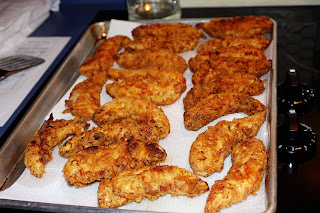 One of the items on our Superbowl Party was Chicken Tenders. Our family loves them. They are relatively easy to make. I have experimented with several methods and here is the best one I have found. 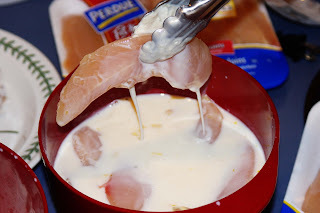 Cut up chicken and soak in a bath of buttermilk and several tablespoons of Tabasco sauce. 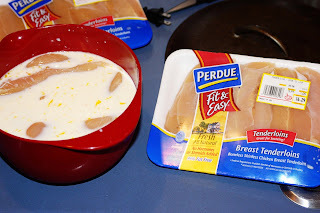 The chicken tenders are better if they soak for several hours but very good if you don't have that kind of time. I have also soaked them in milk, also good. 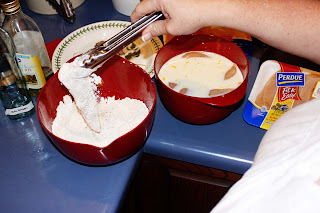 Next, I take the tenders out of the milk bath and toss them in seasoned flour. 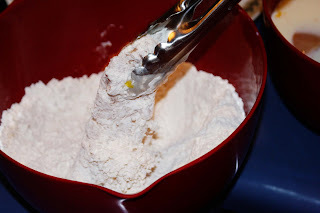 The flour is seasoned with several tablespoons of salt and pepper. Next, let the chicken rest for several minutes. 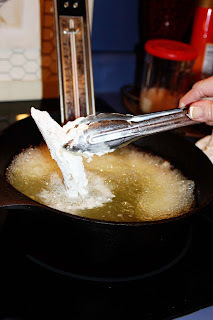 Drop very carefully the chicken into oil heated to 375 degrees. Turn the chicken after about 5 minutes. Another five minutes of cooking in the oil. Remove and place on paper towels. Sidenote: I toss out the oil after I make the chicken. I never re-use it. My family would be so happy if I made those. We make something similar but "oven fry" the chicken. Turns out delish every time. Nothing beats your real fried chicken!! These look yummy!! 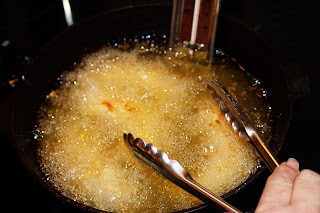 I'm always worried about frying things in oil because I have no idea how to get rid of the oil when I'm done. I can't throw it down my drain because we have a septic system. Last time, I was able to pour it into an empty soda bottle, after it cooled of course!! How do you get rid of your oil. Is this a silly question??? I'm going to try this recipe, it looks pretty simple!! Thanks! Oh those look good! Very Good! 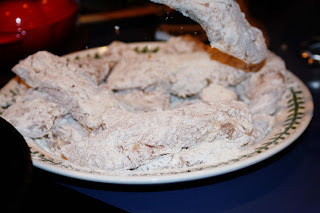 Yum, these look fantastic, fattening, but fantastic! My boys will love these! Thanks!